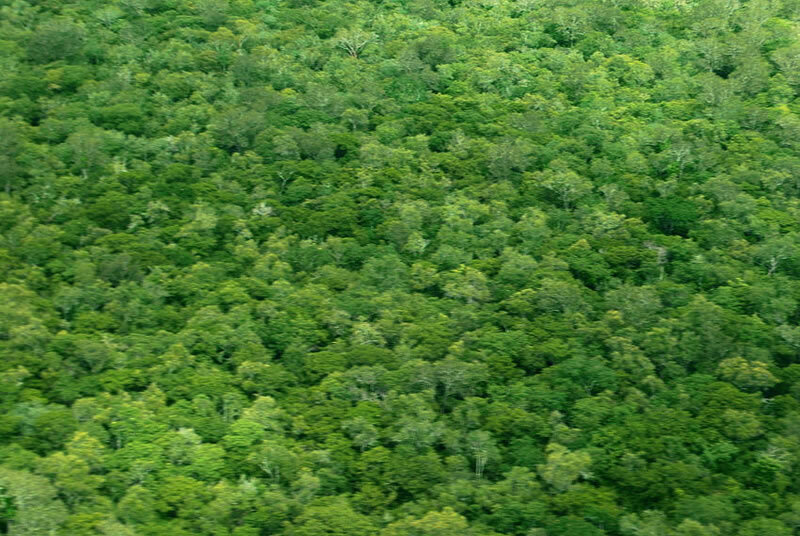 An aerial view of the unbroken forest of the Colonial San Gabriel Arcangel Reserve. 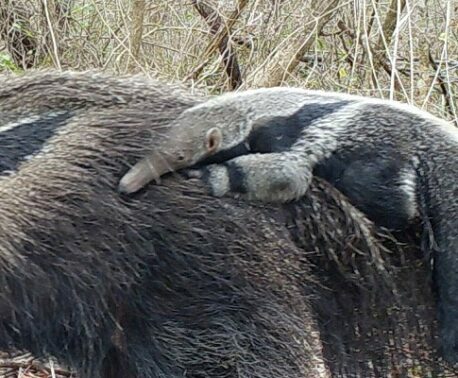 The World Land Trust (WLT) is celebrating the purchase of more threatened habitat in Paraguay, extending the network of wildlife reserves owned by our partner organisation, Guyra Paraguay. The new reserve, called the Colonia San Gabriel Arcangel, protects a vast 11,000 acres (4,400 hectares) of highly threatened habitat in the Chaco region of Paraguay. There are few habitats in the world like the Chaco’s; it is an extreme environment that supports impenetrable forests, palm savannahs, arid lands, and wetlands. This habitat supports viable populations of threatened species; many of the plants and animals that are found here do not exist anywhere else on Earth. Yet it is being destroyed at an alarming rate to supply the growing world demand for beef. Between 1991 and 2008, about 15 million acres (6.4 million ha) of the Chaco was deforested; this natural habitat was destroyed almost entirely for cattle-ranching to supply the beef industry. At times, the rate of loss was over 2,471 acres (1,000 ha) a day. Proposed deforestation plans for the Chaco show that the region surrounding the new San Gabriel Reserve is an important development area for ranching. It was therefore a race against to time to purchase this land and create a wildlife reserve, before the developers moved in. The surrounding region is a mosaic of 10 different vegetation types – from dense woodland, palm savannah, to marshy grasslands – creating a diverse habitat that is home to 34 threatened species, including the Endangered Crowned Eagle and Chacoan Peccary. It is hoped that the protected reserve will provide a safe haven for this wildlife. Although WLT partner organisations always work with local people, this project is particularly exciting as the San Gabriel Reserve will be co-owned by Guyra Paraguay and the Chamacoco indigenous community, leading to full community ownership in the future. Guyra Paraguay has vast experience of successfully working with local communities and the Chamacoco people were keen to see their land protected. They will work together, combining modern conservation techniques with the Chamacoco’s traditional knowledge, to protect the land and its wildlife. The San Gabriel Reserve lies within their ancestral territories, therefore is of profound cultural significance. As ranching expands across the region, it is altering the quality of these areas fundamentally and seriously hindering the community’s aspiration to regain a measure of control over the land. We hope that this co-ownership will protect wildlife while helping indigenous aspirations to control former territory, protecting this land for its biodiversity and its cultural value. Not only is this land purchase a success in itself, it is also the second component of a much bigger REDD+ project by WLT and Guyra Paraguay, called the Paraguay Forest Conservation Project. The basic principal behind REDD+ (enhanced Reduced Emissions from Deforestation and forest Degradation) is to prevent deforestation and the degrading of forests, as every year the loss of the world’s forests contributes between 12 and 18 per cent to global emissions. 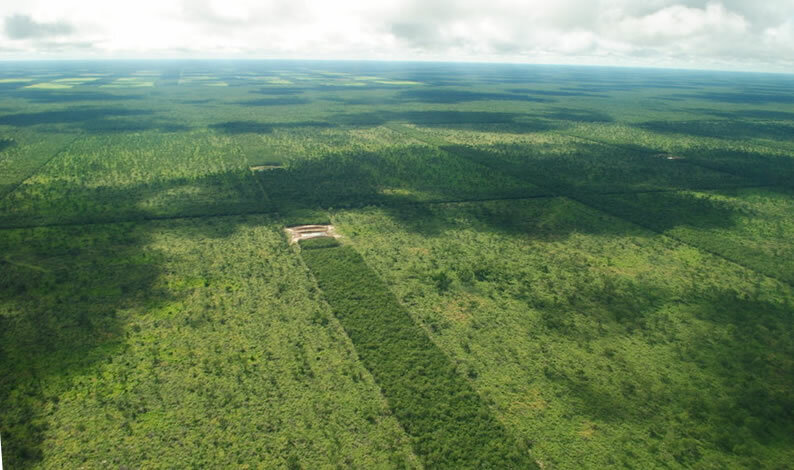 Over the past three years, WLT has been designing the Paraguay Forest Conservation Project for Swire Pacific Offshore (SPO), a leading service provider to the offshore oil and gas industry. SPO have already reduced their carbon footprint as much as possible and over 20 years the project will offset the remaining unavoidable emissions. This is achieved through avoiding the release of at least 800,000t of CO2 from the biodiversity-rich Chaco and Atlantic forest regions of Paraguay. The project is a prime example of how offsetting unavoidable industrial greenhouse gas emissions can be achieved by preventing the destruction of outstanding tropical forest, with this latest land purchase being one of many to come. 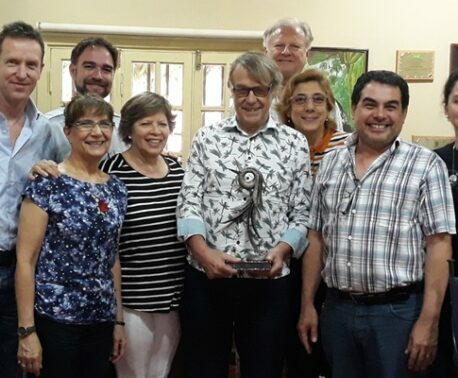 In 2010, the first component of the Paraguay Forest Conservation Project was validated and awarded a ‘Gold’ standard by the Climate, Community and Biodiversity Alliance (CCBA), an internationally recognised organisation that assess the standard of climate change mitigation projects. This first component protected forest in La Amistad, San Rafael, and was awarded a Gold standard in recognition that the project has outstanding benefits for biodiversity and local communities, as well as climate-related gains. We are now preparing the second component, the recent creation of the San Gabriel Reserve, for validation by CCBA. WLT is committed to the fight against dangerous climate change and believes that well-designed REDD+ projects can play a fundamental role in achieving this. The new land purchase in Paraguay is yet another success in our plight to safeguard carbon and biodiversity, with the support of local communities.